This post contains affiliate links. Disclaimer: The participating blogs were not compensated for this post. No purchase is necessary to enter. One entrant per household, per address. All entries will be verified. Void where prohibited by law. Winner will be notified by email; Please add southernmomloves@gmail.com to your whitelist. Richard Leeds International will be responsible for prize delivery to the winner. This giveaway is in no way administered, sponsored, endorsed by, or associated with Facebook and/or Twitter, Google, Pinterest, or any other social media platform. With the weather getting colder now, staying inside with a comfy cozy pair of pajamas sounds fantastic! Enter to win some pajamas below! These collegiate-themed one-piece PJs have a kangaroo pocket and are available in Black Soot, Heather Grey, & Bordeaux Heather. If you're looking for a cute print with a twist, these One-piece drop-seat PJs will keep you warm. They're available in Moose Caboose, Cat's Pajamas, & Bear Bottom. Find all of the styles above in the Sleepwear section at Walmart in-store or online at Walmart.com. 1st Prize: 1 (One) winner will receive an entire pajama wardrobe! 7 pairs! 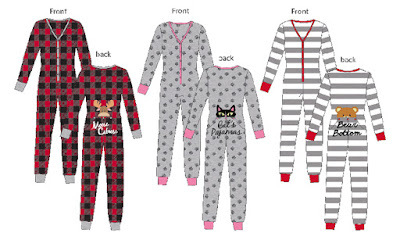 2nd Prize: 2 (Two) winners will receive 5 pairs of pajamas! 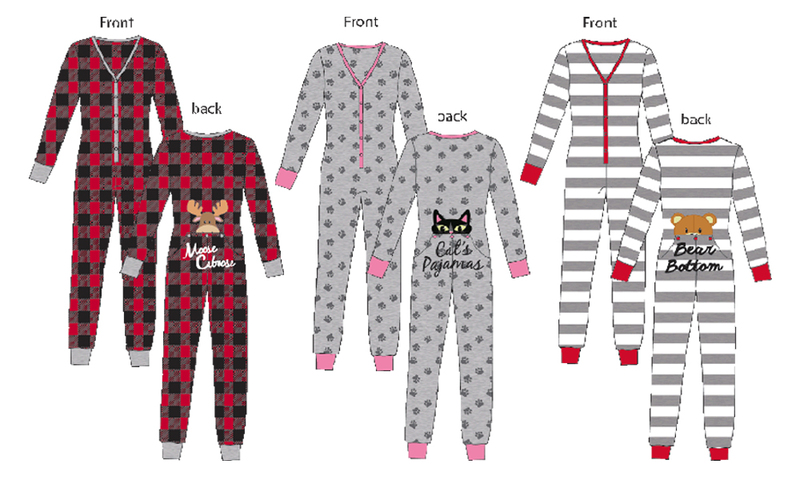 3rd Prize: 3 (Three) winners will receive 3 pairs of pajamas! 4th Prize: 15 (Fifteen) winners will receive a pair of pajamas! Giveaway begins on 11/18/15 at 1:00 am CST and ends on 12/9/15 at 11:59 pm CST. Must be 18 years or older, open to residents of the US only. Once confirmed, the winners will be added to the Southern Mom Loves Winner's List. Disclaimer: The participating blogs were not compensated for this post. No purchase is necessary to enter. One entrant per household, per address. All entries will be verified. Void where prohibited by law. Winner will be notified by email; Please add southernmomloves@gmail.com to your whitelist. Richard Leeds International will be responsible for prize delivery to the winner. This giveaway is in no way administered, sponsored, endorsed by, or associated with Facebook and/or Twitter, Google, Pinterest, or any other social media platform.